Melissa’s dance background is evident every time she climbs on the bike. She has over 13 years of ballet/dance training, was a competitive cheerleader, and a member of the CSU Stanislaus Dance Team. Between her love of dance and her love of Britney Spears, her class is sure to feel like you just stepped into the club. Melissa loves paddle boarding, coffee, her husband, and her three children, not necessarily in that order. 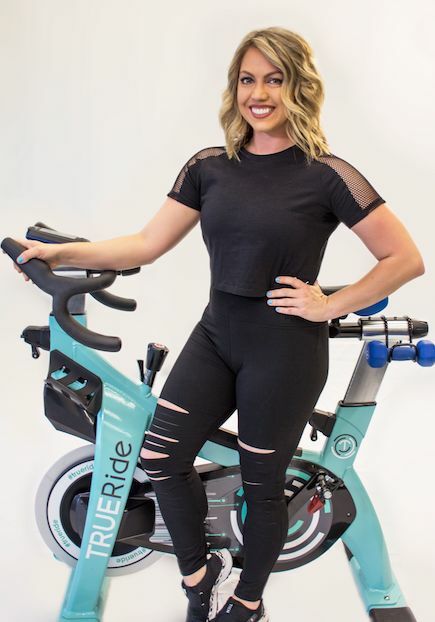 She also loves being a part of TRUE Ride and says it “feels like being a part of a family who sweats a lot.” Sign up for one of Melissa’s classes and get ready to work!